With a slogan like, ‘if it swims we have it,’ it is no wonder the Seafood Market makes one of the top destinations to chow down on some fresh seafood. 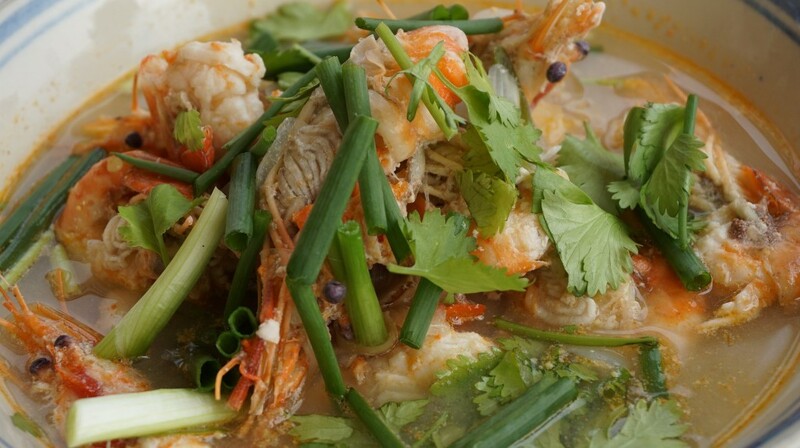 Try a dish from its recommended menu, including its stir-fried crab with curry and tum yum kung (spicy shrimp soup). Speedy service in combination with the delicious cuisine makes this one of the most popular restaurants in Bangkok. This food court can seat more than your average restaurant, so bring your friends and your appetite to this delicious seafood spot. Somboon Seafood first opened in 1969 in the Samyan area and there are seven different locations today. After the opening of its second installment, the Somboon Seafood name began to spread and became a popular dining destination for expatriates. This seafood restaurant serves cuisine that is delicious and comes in enormous portions. You will find a menu filled with dishes such as crab balls, grilled prawns, curry crab and more. Somboon is said to be the creator of fried curry crab, which is one of the restaurant’s most popular dishes. Samyan Seafood สามย่านซีฟู้ด Monster venue ?? ?